In 2007 I left my career in Financial Services in the City after 11 years. I’m 41 years old so I’ve “been around the block”. I studied to be a Gym Instructor in November 2007 with Premier Training and started working in a gym. 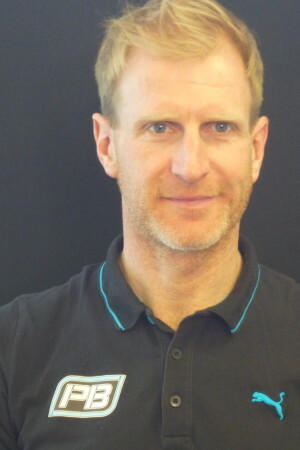 In April 2008 I gained the Personal Trainer REPS Level 3 award, also with Premier Training. Working for someone else wasn’t for me however so in July 2008 I set up Paul Butler Fitness Personal Training (www.paulbutlerfitness.com). Soon after I gained the Level 2 Road and Time Trial Coaching Award with British Cycling and became a Cycle Coach. 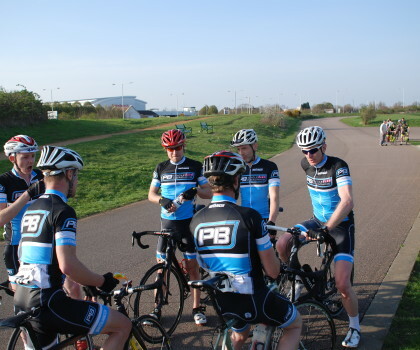 Since then, more and more business has come from cyclists wanting to improve their riding, their times, their technique or just to enjoy cycling more. Along the way I picked up a variety of other useful and not so useful qualifications including Advanced Nutrition for Physical Performance in March 2010 with Premier Training. I was already a Nutritional Adviser so I’m getting really flash now! I have carried out my business from various gyms over the years, I also visit people in their homes, in parks, village greens and I also teach classes in clubs, offices and school halls. Other than train clients I also advise them on their diet (which might include going supermarket shopping with them or going through their food cupboards!). I offer cycle coaching services where I help people to prepare weekly training plans that are unique to the rider and his/her needs. I have the upper hand over a lot of Cycle Coaches as I’m also able to help my riders with their strength and conditioning, core and flexibility and their nutrition. This is the area of my business which is growing the quickest as cycling is a fast growing sport currently thanks to the British performances in both the Olympics and the Tour de France. To finish, the reason I think I have been so successful is because I can relate to my clients; Since working in the City I’ve lost 7 stone, quit smoking and taken up exercise. Not any exercise, cycle racing, the hardest sport in the world. I’m in my 5th season of road racing and I’ve just secured my 2nd Cat for another year. When someone can’t help themselves from grabbing a cheeky snack, having too much beer or skipping a training session, I get it, I’ve learnt how to manage that now and I can teach you too. I’ve suffered with terrible knee trouble (and still do) so I understand when they hurt too much to train. I know what it feels like to be on my physical limit on my bike, which is extremely handy when helping somebody to improve their times! In a nutshell, I get it, I’ve done it, I’m doing it.